There are many kinds of woodland ecosystems on earth. They can be classified by tree type as evergreen needle leaf, evergreen broadleaf, deciduous needle leaf, deciduous broadleaf and mixed forests. They can also be classified by biome such as polar, boreal, temperate, sub-tropical and tropical. This discussion treats the North American temperate mixed woodland ecosystem. Animals in this ecosystem have mechanisms for enduring harsh winter months and for foraging in tree canopies and understory plants. Tree trunks and forest floor litter offer shelter and cover. Animal colorings often show barred and speckled patterns of shade and light. 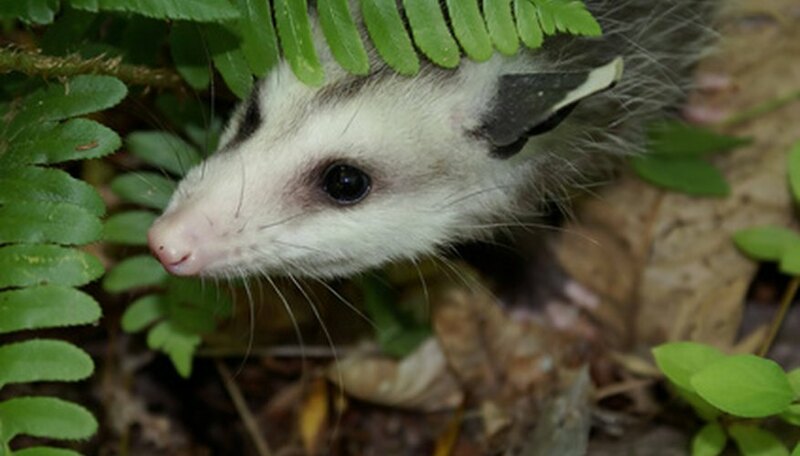 Plant-eating animals range from insects (grasshoppers, butterflies, leafhoppers) and other invertebrates such as earthworms and sowbugs, to small mammals like deer mice, tree squirrels, cottontail rabbits and porcupines. 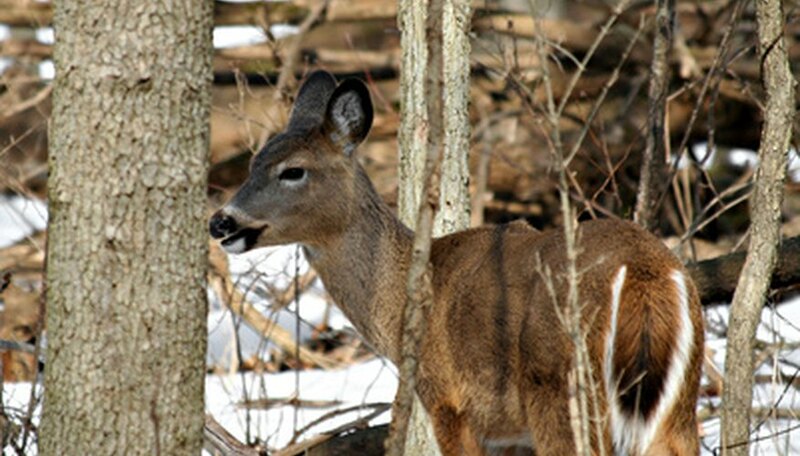 Examples of large woodland plant-eaters are white-tailed deer, mule deer and elk. Herbivores are more plentiful than carnivores and are the bottom rung of the food chain. Most small herbivores overwinter. Insects survive in cocoons or protected hiding places. Small mammals dig dens or burrows. Larger mammals often remain active to search for food even in winter. Elk and deer dig through snow for dried grasses. Meat-eating animals range in size from predatory insects such as assassin bugs and robber flies, other invertebrates such as orb-weaving spiders, to larger vertebrate animals. Small mammals like short-tailed shrews and weasels eat primarily rodents. Woodland reptiles including snakes such as timber rattlesnakes, copperheads and rat snakes also eat rodents. Forest-dwelling lizards such as northern fence lizards and ground skinks eat insects. Reptiles overwinter in dens or under cover such as logs or rocks. Insectivorous amphibians like tree frogs, wood frogs, and various kinds of salamanders inhabit woodlands. 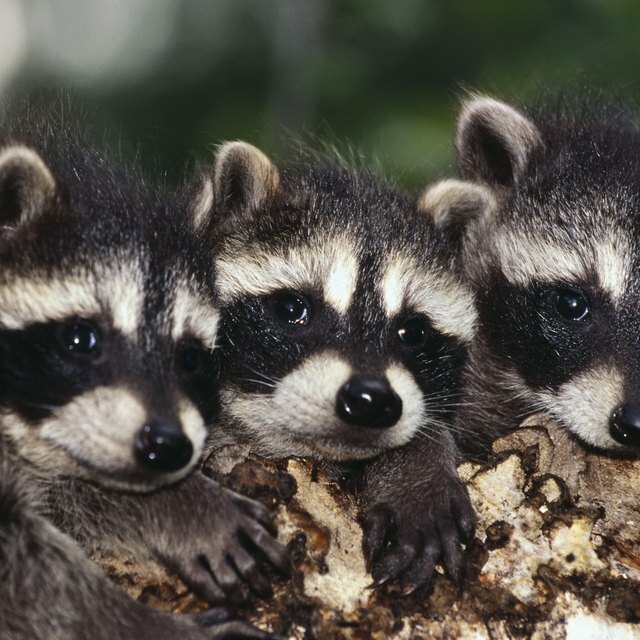 Medium-sized mammals include bobcats and martens. Large carnivores such as cougars and wolves have been hunted almost to extinction in much of North American woodland ecosystems. 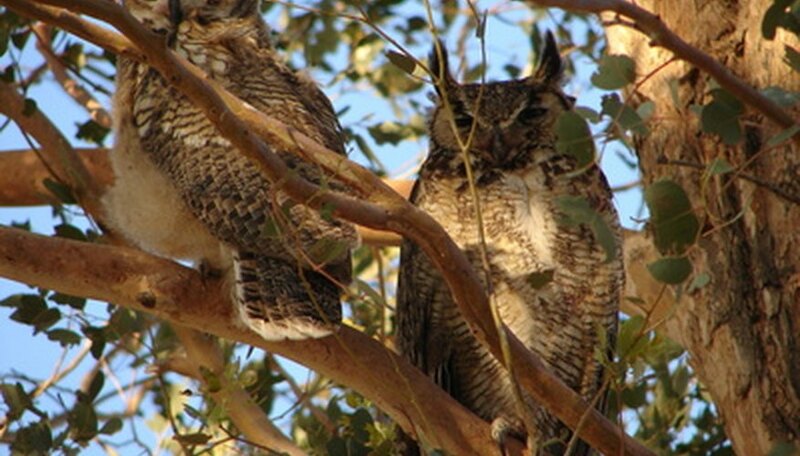 Trees offer homes to great horned owls, long-eared owls, screech owls and barred owls; raptors such as Cooper's hawk, sharp-shinned hawk, northern goshawk hunt in forests. Hoary bats, red bats and silver-haired bats live in and among woodland trees. These are animals that eat both plants and meat. Some insects, such as crickets, are omnivores. Most songbirds eat both insects and plants, as do crows and ravens. 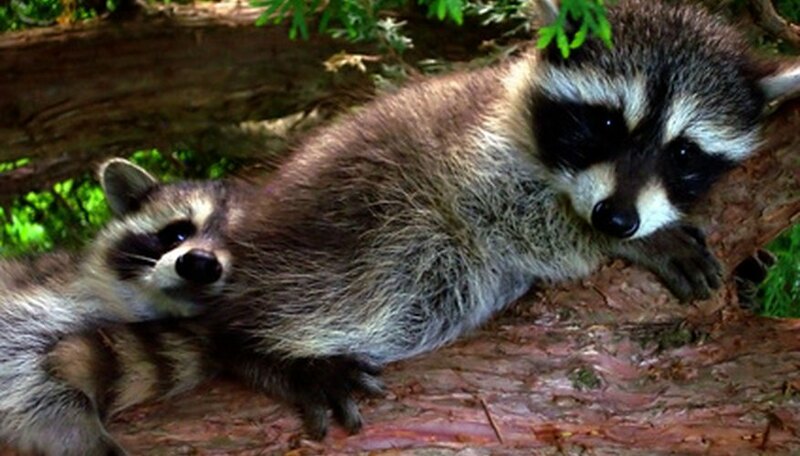 Mammals like red foxes, gray foxes, coyotes, skunks, raccoons and opossums inhabit woodlands and eat a varied diet. 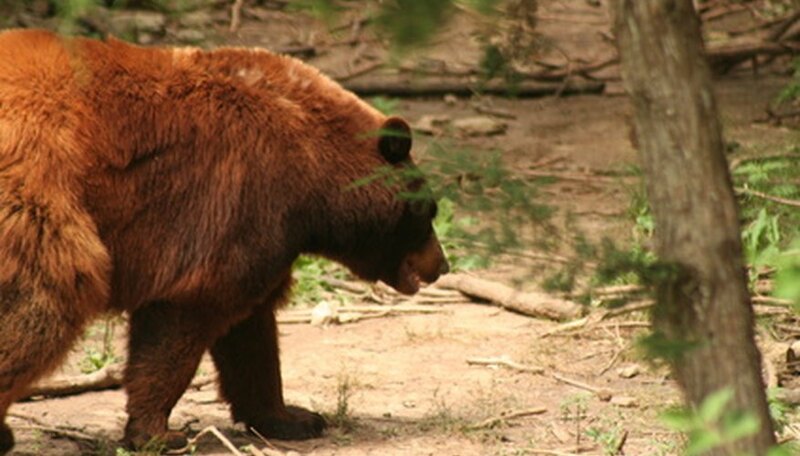 Bears are the largest of the forest omnivores. Feral pigs, which inhabit southeastern temperate woodlands, will eat anything. A vital link in the ecosystem is filled by animals that clean up dead organic matter. Many insects subsist on rotting plant and animal material, such as fly larvae, dung beetles and carrion beetles. Among birds, vultures are the prime example of a scavenger. The black vulture nests in thicketed woodland habitats. American crows and common ravens will eat carrion, as will opossums, coyotes and feral wild pigs. Chaney, Cathryn. "Animals in a Woodland Ecosystem." Sciencing, https://sciencing.com/animals-woodland-ecosystem-6903097.html. 24 April 2017.